Certified motor vehicle record: Requested by mail or in person, this type of driving record includes your complete driving history. You can obtain your Mississippi driving record online from public databases as well. For further information call (601) 987-121 or visit the DPS website. I am Geron Anderson I Need a copy of my drive record.? We can certainly help you out with you a Mississippi driving record search. I show there are multiple records for your name in our database. Can you confirm your age so we can insure we are looking at the correct driving record. Unfortunately sometimes public records can be incomplete. You have a couple options. 1st. You can opt for the premium report 2nd. 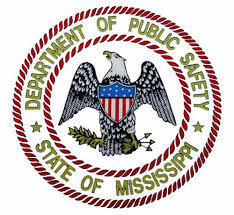 If you’re looking for a certified motor vehicle driving record for Mississippi then you will want to visit the Mississippi Department of Public Safety. The certified version from, the Mississippi DPS, you can use for employment, education and rental applications.